BRONX, N.Y. – Fordham University men’s soccer coach Carlo Acquista has announced the additions of Philip Bannister and Richard Ongaro as assistant coaches. Bannister is very familiar with Acquista having been on his coaching staff at Adelphi University. He spent two seasons with the Panthers and was a part of the 2017 East Region coaching staff of the year after Adelphi won the Northeast-10 regular season championship and finished with a No. 14 national ranking. In 2018, the Panthers again claimed the NE-10 regular season crown, while also winning the tournament championship. Prior to Adelphi, Bannister spent three years at St. John’s University. He served his first two years as a graduate assistant with the Red Storm before transitioning to the position of volunteer assistant and joined St. John’s after one season as a graduate assistant with the women’s soccer team at Bloomsburg. Following a standout collegiate career at Loyola University (Md. ), the Wallsend, England native was drafted by the Colorado Rapids in the 2011 Major League Soccer supplemental draft. Bannister went on to play for the D.C. United Under-23 team before returning home to England to play semi-professionally for Blyth Spartans AFC. A four-time All-MAAC selection, Bannister was a two-time first team choice and a two-time second team honoree. 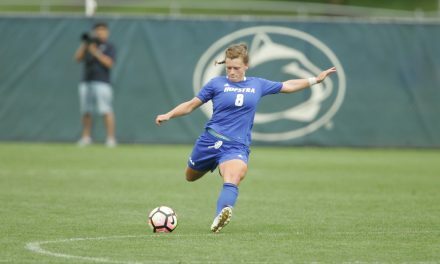 As a freshman, the forward earned MAAC Rookie of the Year honors and led all Division I freshmen in scoring after totaling 13 goals and seven assists. He finished his career ranked eighth in program-history in goals (40), a mark that included 13 game-winners, tied for first in assists (29) and sixth in points (109). A Lowe’s Senior CLASS Award Finalist as a senior, Bannister was a two-time ESPN The Magazine/CoSIDA Academic All-America selection. Bannister, who owns FA Level 1 and FA Level 2 coaching badges, graduated from Loyola in 2011 with a degree in marketing and earned an MBA in finance from St. John’s, as well an MSC in Sports Management from Adelphi. Ongaro comes to Rose Hill after one season as a volunteer assistant coach at Old Dominion University. 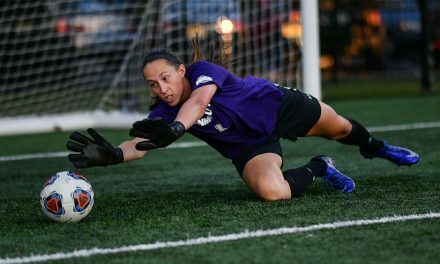 Working with the goalkeepers, he coached Mertcan Akar, who earned Third Team All-Conference USA honors, while as a team the Monarchs finished second in the regular season standings for Conference USA. Prior to joining ODU, Ongaro was an assistant coach at Rutgers-Camden and the University of Northwestern Ohio, where he worked with the women’s teams. Ongaro spent one year at VCU before transferring to Holy Family University for his final three years. He was a three-year starter for the Divison II school and collected nine shutouts and 191 saves throughout his three years playing for the Tigers.